Our new lighter version of the Shock Cub got finally the German temporary license and will be allowed to fly there, for final test flights and investigations before to get the final approval. 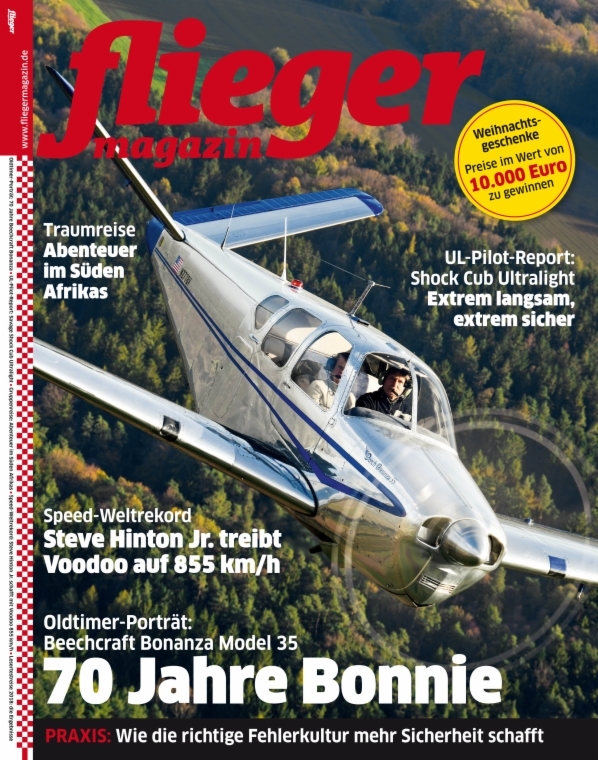 In the meantime for German speaking readers, the well known German Flieger Magazine, issued a complete test flight of the plane, in his last December issue. In the cover they wrote "extremely slow, extremely safe" plane and inside in the article, they launched a provocation: is this the safest ULM-LSA of the market? there are some reason why they decided to write a similar sentence ... so we can only invite you to ask for more informations, if interested. The plane will be presented soon on our website.